Mac Shortcuts not working - Bug Reports - Forum for Kantu Task and Test Automation and the free OCR API. 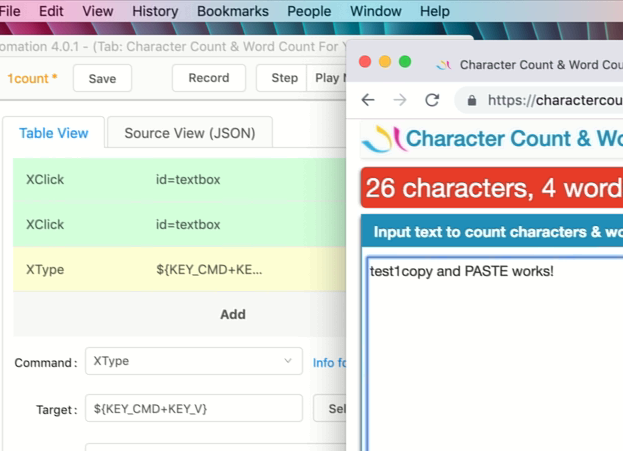 But it doesn’t paste on a mac… I changed KEY_CTRL to KEY_CMD but that doesn’t make any difference… it simply writes a “v” to the textarea… How can I make shortcuts such as CMD+A (to select all text) work on a mac? Xtype/sendkeys - KEY_CMD for MAC? The Linux and Mac install scripts contained indeed an outdated version of the RealUser XModule. This has now been fixed and a new installer V201902 is available. The current RealUser XModule version number is V1.0.12 - and this version supports the KEY_CMD key Thanks for your patience while we fixed this issue.